Thank you for selecting Allvoi as your Voice-Over-Internet Protocol (“VoIP”) service provider. This Agreement is between Allvoi, Powered by Master Call, a New York based company and the person selecting an Allvoi Plan (“You”, “Subscriber” or “Customer”) for your use of the Allvoi VoIP Services (“Service”) or (“Agreement”). The term “User” means You or any other person using the Service under your Allvoi account and You are responsible for your and all other Users’ use of the Services. BY ENROLLING IN, USING, OR PAYING FOR THE ALLVOI SERVICE, YOU AGREE TO THE PRICES, CHARGES, TERMS AND CONDITIONS IN THIS AGREEMENT. IF YOU DO NOT AGREE TO THESE PRICES, CHARGES, TERMS AND CONDITIONS, DO NOT USE THE SERVICE, AND CANCEL THE SERVICE IMMEDIATELY by calling Allvoi Customer Service Number listed at www.allvoi.com. Allvoi may change the Terms and Conditions of the Agreement at any time. Notices will be considered given and effective on the date posted at www.allvoi.com. The Agreement posted supersedes all previously agreed to electronic and written Terms and Conditions. Service is billed on a calendar-month basis for a term which begins on the date that you signup for Allvoi service and closes on the last day of the calendar-month. 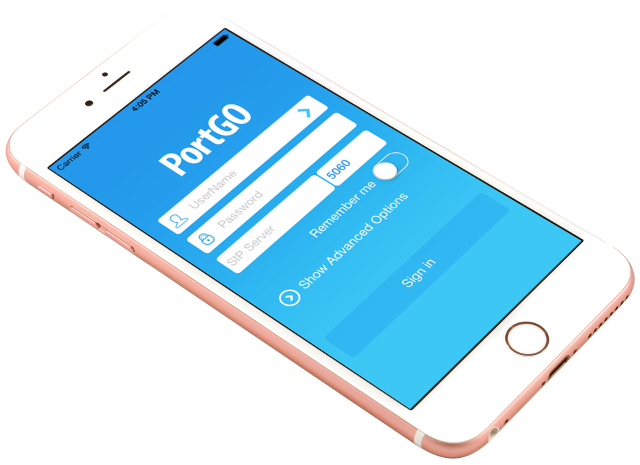 You may gain immediate access to the service by downloading free PortGo smartphone app prior to receipt of their Allvoi VoIP phone or adapter if ordered during signup. Subsequent terms of this Agreement automatically renew on a calendar-month basis without further action by you. You may terminate your Allvoi service by logging into the My Account section of www.allvoi.com on or before the last day of the calendar-month and following procedures for cancellation. You are purchasing the Service for full calendar-month terms, meaning that if you attempt to terminate Service prior to the end of a monthly term, you will be responsible for the full calendar month's charges to the end of the then-current term, including without limitation unbilled charges under the terms of this Agreement, all of which immediately become due, payable, and chargeable to your credit card. Expiration of the term or termination of Service does not excuse the Customer from paying all unpaid, accrued charges due in relation to the Agreement. New customers to Allvoi are billed the prorated portion of the service plan for the calendar month in which they activate service. Customers upgrading/downgrading their plan to higher/lower minute plans, may do so at any time during the calendar month. The upgrade becomes effective on the first day of the next calendar month. If you exceed your $50 credit limit during the calendar month, Allvoi will automatically charge your credit card of record $50 to restore your credit limit and maintain continuous service. This charge is not a penalty or a fee. It is used to pay for usage that is outside of the regular plan. The Service requires standard SIP based customer premise equipment ("CPE" or "device") which will be provided by Allvoi or approved agents of Allvoi pursuant to the terms of this Agreement. 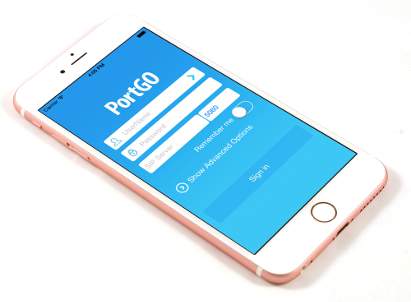 Use of the Service without such approved equipment is strictly prohibited Adapter and PortGo application are all considered by Allvoi to be a device. 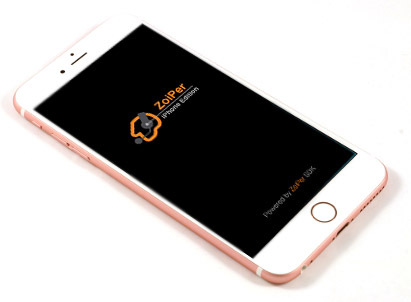 There is a three device limit on residential accounts which includes any combination of the one adapter (1 device) and up to 2 smartphone application (up to three devices). Calls can be made only from two devices simultaneously. Devices are not sold to non-Allvoi subscribers. Installation of Allvoi provided equipment and connection to one User personal computer that meets minimum system requirements and installation of the voice adapter/netphone. If you have subscribed to Allvoi's Residential services, the Service is provided to you as a single usage residential plan for single family, normal residential use. Single usage means that you and others may not use Allvoi for simultaneous calling or as a shared account. Allvoi residential use is for your own personal, residential, non-business and non-professional use. This means that you agree not to use, and may not use, the Service for any commercial activities, governmental activities, profit-making activities, and/or non-profit activities, including but not limited to home office, business, sales, tele-commuting, tele-marketing, auto-dialing, continuous or extensive call forwarding, call relaying, fax broadcast, fax blasting and any other activity that would be inconsistent with normal residential usage patterns by any and all residential plans including unlimited plans. This also means that you agree not to, and may not, sell, resell or transfer the Service to any other person for any purpose, or make any charge for the use of the Service, without the prior express written permission from Allvoi. Unusual calling patterns, excessive caller and calling destinations or excessive usage (calculated as a multiple determined by Allvoi times the monthly average residential usage of Allvoi customers) will be considered as indicators that your use of the Service may be inconsistent with normal residential usage and subject to the terms of this agreement. Allvoi makes such determination based on your usage patterns and other criteria determined by Allvoi to differentiate between residential and non-residential use. In addition to and without prejudicing or waiving any other remedies that it is entitled to and after it has determined in its sole discretion that you have violated the residential agreement, Allvoi reserves the right to terminate the Service. You agree that any payment made to Allvoi pursuant to this section is made as liquidated damages and not as a penalty, because it would be difficult if not impossible to ascertain damages. In the event that Allvoi has to take legal action to enforce the provisions of this section, the prevailing party shall be entitled to its reasonable expenses, including attorney’s fees, regardless of whether in house or outside counsel is employed. These products are intended for home use. 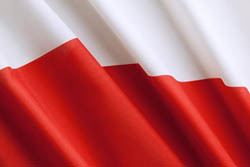 "Unlimited Home," “Unlimited Home Plus,” “Unlimited Bangladesh Home” and “Unlimited Bangladesh Home Plus” plans reflect the names of the plans for promotional reasons and have no underlying meaning. The word “Unlimited” is not to be interpreted literally, but as a reference to the high number of minutes allowed by the plans. The minutes allowed in these plans are limited as follows. "Unlimited Home" plan allows for 1000 minutes of local, long distance, and international calling to selected destinations* within the plan. "Unlimited Home Plus" plan allows for 3000 minutes of local, long distance, and international calling to selected destinations* within the plan. “Unlimited Bangladesh Home” plan allows for 250 minutes of local, long distance, and international calling to Bangladesh and 500 minutes of local, long distance, and international calling to other selected destinations* within the plan. “Unlimited Bangladesh Home Plus” plan allows for 750 minutes of local, long distance, and international calling to Bangladesh and 1500 minutes of local, long distance, and international calling to other selected destinations* within the plan. “Pakistan Premium 750” plan allows for 750 international calling to Pakistan* within the plan. Domestic calls are counted towards residential use limits. Usage beyond plans' set limit or excessive usage and/or calls to the countries that are not part of the plan will result in a per minute charge. Taxes are applicable to any usage outside of the plan. Per minute rates can be found by visiting "Rates" section of our website, accessible at www.allvoi.com/rates. Selected destinations include: Andorra, Argentina, Australia, Brazil, Canada, Chile – Santiago, China, Cyprus, Denmark, France, Germany, Greece, Guadeloupe, Hong Kong, Hungary, Iceland, India, Ireland, Israel, Italy, Japan, Kazakhstan, Luxembourg, Malta, Mexico, Netherlands, New Zealand, Norway, Peru, Poland, Portugal, Puerto Rico, Romania, Russia – Moscow, Russia - St. Petersburg, Slovakia, South Africa, South Korea, Spain, Sweden, Switzerland, United Kingdom (UK), and USA (48 states). 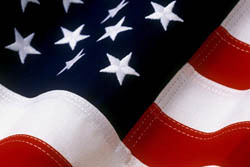 Allvoi allows use of the Service inside or outside of the United States. However, if you use it outside the United States you do so at your own risk. 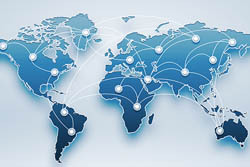 If you remove the Device to a country outside the United States and/or use or attempt to use it there, you do so at your own risk, including but not limited to the risk that such activity violates the laws of the country where you do so, and/or violates the export laws of the United States and/or the import laws of that other country. Allvoi and its affiliates assumes no liability for your failure to comply with the laws of the foreign country where you use the Service. Allvoi and its affiliates takes no responsibility or legal liability for your failure to notify us of a change of address related to E911. You acknowledge and understand that the Service does not function in the event of a power failure. Should there be an interruption in the power supply, the Service will not function until power is restored. A power failure or disruption may require you to reset or reconfigure the Device and other CPE equipment prior to using the Service. You also acknowledge and understand that the Service requires a fully functional broadband connection to the Internet and that, accordingly, in the event of an outage of, or termination of broadband service with or by your Internet service provider ("ISP") and/or broadband provider, the Service will not function. If there is an interruption in the power supply and/or an ISP/broadband outage, the Service will not function until the power supply is restored and/or the ISP/broadband outage fixed. You will continue to be billed for the Service during such failures, terminations and/or outages unless and until you or Allvoi terminate the Service in accordance with this Agreement. The Service and Device and any firmware or software used to provide the Service or provided to Customer in conjunction with providing the Service, or embedded in the Device, and all Services, information, documents and materials on Allvoi's website(s) are protected by trademark, copyright or other intellectual property laws and international treaty provisions. All websites, corporate names, service marks, trademarks, trade names, logos and domain names (collectively "marks") of Allvoi and its affiliates are and shall remain the exclusive property of Allvoi and Master Call and nothing in this Agreement shall grant you the right or license to use such marks. You acknowledge that you are not given any license to use the firmware or software used to provide the Service or provided to Customer in conjunction with providing the Service, or embedded in the Device, other than a nontransferable, revocable license to use such firmware or software in object code form (without making any modification thereto) strictly in accordance with the terms and conditions of this Agreement, and that the Device is exclusively for use in connection with the Service. You expressly agree that the Device is exclusively for use in connection with the Service and that Allvoi will not provide any passwords, codes or other information or assistance that would permit or enable you to use the Device for any other purposes. If you decide to use the Service through an interface device not provided by Allvoi, which Allvoi reserves the right to prohibit in particular cases or generally, you warrant and represent that you possess all required rights, including software and/or firmware licenses, to use that interface device with the Service and you will indemnify and hold harmless Allvoi and its affiliates against any and all liability arising out of your use of such interface device with the Service. You agree not to reverse compile, disassemble or reverse engineer or otherwise attempt to derive the source code from the binary code of the firmware or software. Allvoi signup allows you to select a temporary number from any available area code during signup. If you wish to keep your existing number from your home phone, enter your current number in the keep your number field during signup. Following sign up, we will verify the number is eligible to be ported to your ALLVOI account (Some restrictions apply, not all numbers can be ported). Depending on your current provider, there is a one-time porting fee of $8.99. The process can take from 14 to 35 days to complete. You can use your temporary number until your number is ported. 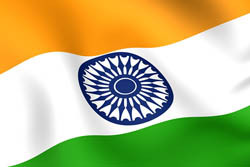 Allvoi may release any telephone number that was ported in to Allvoi by you and used in connection with your Service to your new service provider, if such new service provider is able to accept such number, upon your termination of the Service, and provided (i) your Allvoi account is completely current including payment for all charges; and (ii) you request the transfer upon terminating your account. Porting your number to a new provider does not automatically terminate your account. Once the number is ported out, you are required to call ALLVOI Customer Service at 1-877-425-5864 to close your account. E911 service is not available on ALLVOI 011 products. To provide the Services, Allvoi may provide Equipment to you. Expedited shipping and handling is available at additional cost. Allvoi's liability for delivery shall cease, and title (if applicable) and all risk of loss or damage shall pass to you upon delivery to carrier. You will be provided a 12 months manufacturer's warranty from the date of purchase of Equipment or Services. You shall be required to obtain return authorization from Allvoi to return any Equipment. Allvoi will provide replacement Equipment only if the Equipment is deemed to be defective and covered under the warranty. Allvoi will not cover replacement for lost, stolen or modified equipment. Equipment returned by you that is not covered under warranty may be refused by Allvoi, and you will be responsible to pay return shipping charges. Allvoi only accepts payments by credit or debit card. Your initial use of the Service authorizes Allvoi to charge all amounts due Allvoi as stated in the Agreement on the credit card account number on file with Allvoi, or on any other credit card provided by Customer if the original card expires or is replaced. This authorization will remain valid until 30 days after your Allvoi account is closed. Allvoi may terminate your Service at any time, in its sole discretion, if any charge to your credit card on file with Allvoi is declined or reversed, if your credit card expires and you have not provided Allvoi with a new valid and approved credit card, or in case of any other non-payment of account charges. Termination of Service for a declined or expired credit card, reversed charges or non-payment leaves you fully liable to Allvoi for all charges accrued before termination and for costs incurred by Allvoi to collect all monies owed by Customer, such as (but not limited to) collection costs and in house or outside attorneys’ fees. Allvoi may make billing adjustments for the Service retroactively for a period of one hundred eighty (180) calendar days after the date a Service is rendered if they are made within two (2) months of Allvoi’s receipt of any invoice for the payment of additional fees and charges imposed by law. If your suspended account’s Service is resumed because you cured the violation, you will not receive a credit or refund for the period during which the Service was suspended or limited. You are responsible for a full month’s fee if the Service or feature is reactivated after the beginning of a new billing cycle. A 911 recovery charge applies to each Service line. This fee is used to recover costs associated with developing, implementing and maintaining a nationwide E911 emergency service in compliance with FCC regulations, Allvoi’s 911 emergency dialing and the underlying service provider’s national 911 emergency call center. State and/or local governments or third parties may assess fees on Allvoi to pay for emergency services. To the extent permitted by law, Allvoi may pass those fees on to you and, in such circumstances, you agree to pay same. You authorize Allvoi and Master Call to disclose information related to your account to credit reporting agencies, credit bureaus and legal authorities. Allvoi grants you a limited license to access and make personal use of this site and not to download (other than page caching) or modify it, or any portion of it, except with express written consent of Allvoi. This license does not include any resale or commercial use of this site or its contents; any collection and use of any product listings, descriptions, or prices; any derivative use of this site or its contents; any downloading or copying of account information for the benefit of another merchant; or any use of data mining, robots, or similar data gathering and extraction tools. This site or any portion of this site may not be reproduced, duplicated, copied, sold, resold, visited, or otherwise exploited for any commercial purpose without express written consent of Allvoi. You may not frame or utilize framing techniques to enclose any trademark, logo, or other proprietary information (including images, text, page layout, or form) of Allvoi and our affiliates without express written consent. You may not use any meta tags or any other "hidden text" utilizing Allvoi's name or trademarks without the express written consent of Allvoi. Any unauthorized use terminates the permission or license granted by Allvoi. You are granted a limited, revocable, and nonexclusive right to create a hyperlink to the home page of Allvoi so long as the link does not portray Allvoi, its affiliates, or their products or services in a false, misleading, derogatory, or otherwise offensive manner. You may not use any Allvoi logo or other proprietary graphic or trademark as part of the link without express written permission. By visiting www.allvoi.com, you agree that the laws of the state of New York, without regard to principles of conflict of laws, will govern these Legal notices and any dispute of any sort that might arise between you and Allvoi or its affiliates. Any dispute relating in any way to your visit to www.allvoi.com or to services you purchase through Allvoi shall be submitted to confidential arbitration in New York, NY, except that, to the extent you have in any manner violated or threatened to violate Allvoi's intellectual property rights, Allvoi may seek injunctive or other appropriate relief in any state or federal court in the state of New York, and you consent to exclusive jurisdiction and venue in such courts. Arbitration under this agreement shall be conducted under the rules then prevailing of the American Arbitration Association. The arbitrator's award shall be binding and may be entered as a judgment in any court of competent jurisdiction. To the fullest extent permitted by applicable law, no arbitration under this Agreement shall be joined to an arbitration involving any other party subject to this Agreement, whether through class arbitration proceedings or otherwise.